On Saturday September 15 from 1-2 p.m. the Southern Food & Beverage Museum welcomes one of our culinary entrepreneurs to the kitchen. 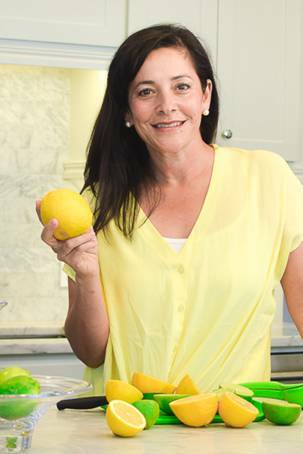 Claudia Benevento of CITRONOLA will demonstrate how she makes her delicious and refreshing juices. CITRONOLA was born from her love of the drinks she had as a child in her home country, Guatemala. She recreated these drinks to give her own children a healthy and flavorful break from sugary refreshments. Now, she shares them with you...stylishly, artfully, and deliciously at your own celebrations. Ms. Benevento was born in New Rochelle, NY and raised in Guatemala City, Guatemala, her family's native land. She had a previous career as an interior and landscape designer. As an adult, she moved from Guatemala to New York and has found a home in New Orleans with her husband, three daughters, and their dog. In her spare time, Claudia races triathlons, spends time with her family, and can be seen running with her training partner-a three year old Vizsla named Jones. New Orleans knows how to throw a party and we at CITRONOLA love to be at the heart of them! We believe in a healthy lifestyle. That’s why our homemade beverages use only fresh, natural ingredients. Gently sweetened with our exclusive blend of maple syrup and citrus, our drinks are delicious alone or when used as mixers. The beverages can be elegantly presented in either individual glass bottles or half gallon jars. We bring our love of entertaining and artistic eye to each beverage station we create.